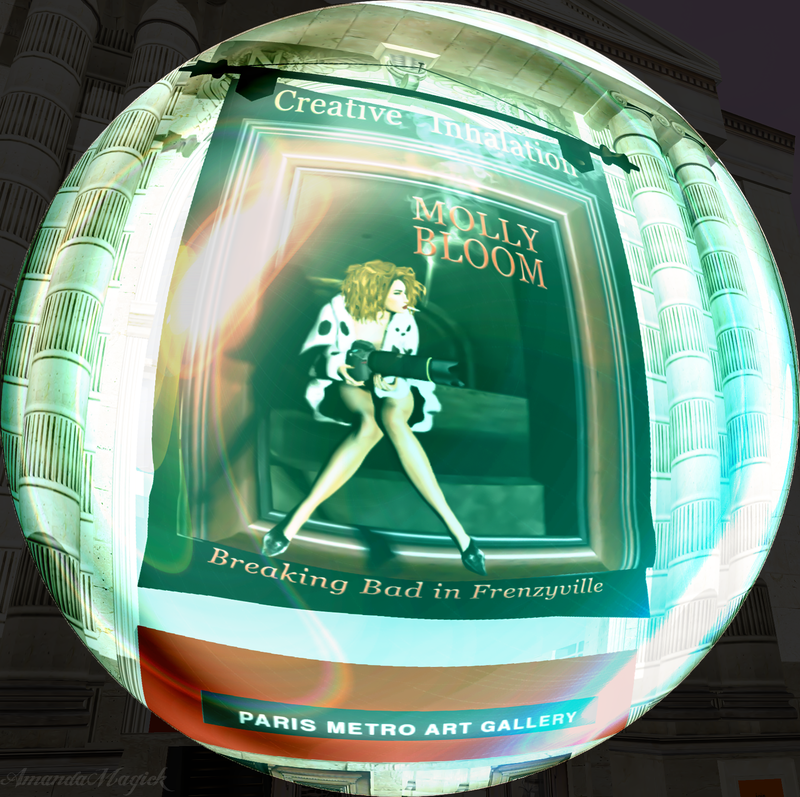 You’re invited to Paris Metro Art Gallery to see “Breaking Bad in Frenzyville” the new works of Molly Bloom. The Molly Bloom Gown fits most major brand mesh bodies and your beautiful Classic Avatar. 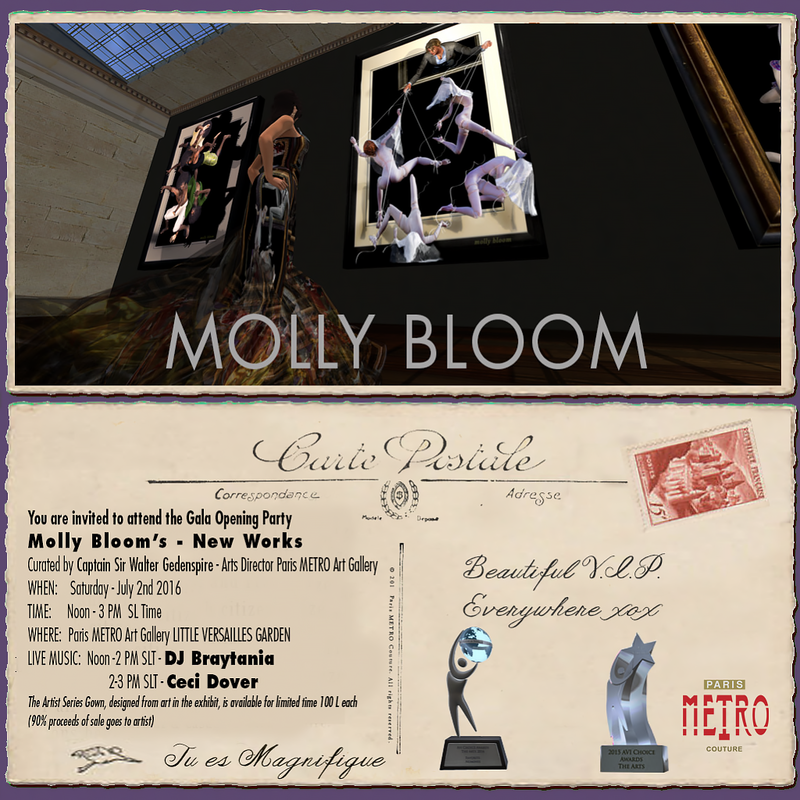 Molly Bloom is a Second Life artist that intentionally uses the resources of Second Life exclusively, meaning all her sets are built in Second Life, or using Second Life scenery. Her avatars models pose in real time. Nothing is added in post production by photoshop, and most pictures are minimally altered. She prides herself on being a purist as a Second Life artist, where part of the challenge of making good art is the joy of building and problem solving. As an update, while Molly is still not layering in photoshop, she has added some images she produced in Daz 3d. Molly Bloom is a Real Life artist, and has worked in a number of mediums, but is mostly known for her extensive work with glass. Classical training in many art forms, and a degree in Art History, have given her a firm foundation in the exploration of color and contrast. She has worked in Real Life with clay, wood, metal, multimedia, and painting, amongst other forms, and her award winning glasswork has been exhibited in a number of San Francisco area galleries. Molly Bloom´s art calendar 2017: The Queen is Not Amused – pre-shipment has started on April 28 by Jami Mills, Editor of Rez Magazine – the maker of it! 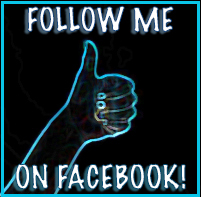 Not for public sale, but sent to museums and universities worldwide to support the virtual arts. 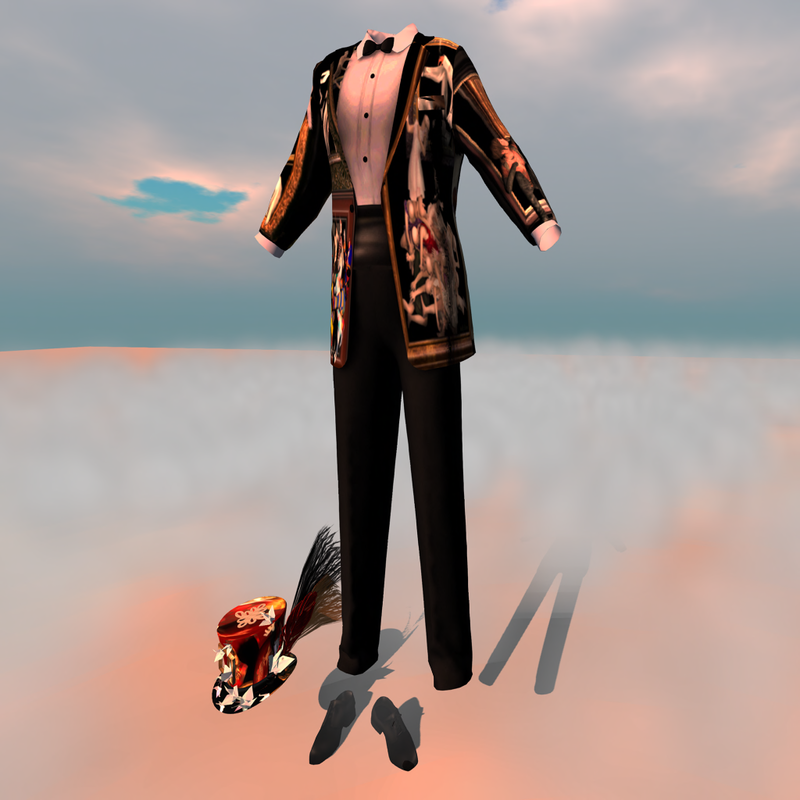 Molly Bloom will be presented at the Biennale of Santorini 2016 in a timeless (digital archival) museum in opensim built by Kai (KaiShun Oleander). The very first time walkable immersive environments are put next to classic tangible works of art.